The booming esports industry is expected to surpass $1 billion in global revenue in 2019. While women’s influence within Esports and gaming is increasing, they face many challenges in what is still considered a male-dominated field. In fact, although nearly half of gamers in the U.S. are women, less than a quarter of game industry employees identify as female. HARMAN has always been a fervent supporter of gender parity in the workplace, so we were proud to participate in an unprecedented live event earlier this month that celebrated the winners of the “BroadcastHER Academy Challenge – Powered by HARMAN” program. 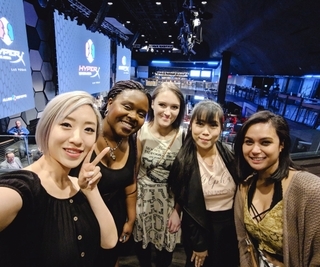 The inaugural competition sponsored by 1,000 Dreams Fund (1DF) invited young women pursuing careers in esports and gaming to enter for the opportunity to win the ultimate prize: a $1,000 microgrant from HARMAN to further their professional development and an all-expense paid trip to Allied Esports’ global flagship venue, HyperX Esports Arena in Las Vegas. 1DF, which provides micro-grants that support the dreams of talented young women, arranged for the nine Challenge winners to share a very special behind-the-scenes experience at the Arena that opened their eyes to new and creative ways to turn their talents and passions into full-time careers. The live event included a tour of the HyperX Esports Arena, the opportunity to shadow Allied Esports team members throughout the day, mentoring sessions with both HARMAN and HyperX and an interview with the 1DF team that made the whole thing possible. 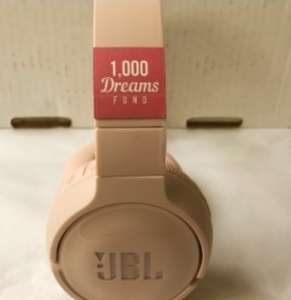 The grant recipients weren’t the only winners of the day; 1DF’s inspirational Founder, Christie Garton, was awarded a personalized pair of HARMAN JBL headphones for her work helping aspiring women in tech trasnform their dreams into reality. Promoting diversity is a value HARMAN shares with 1DF, Allied Esports and HyperX. 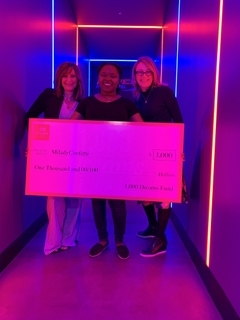 The BroadcastHER Challenge microgrant program will continue to empower a bold generation of female leaders in the gaming industry for years to come. The push for equality certainly won’t end here, and it didn’t start here either: HARMAN and 1DF are long-time partners in the quest to support the advancement of young women in the arts and sciences. In fact, through the organizations’ New Face of Tech Scholarship Program, more than $16,000 has been granted to inspiring, young women in tech. 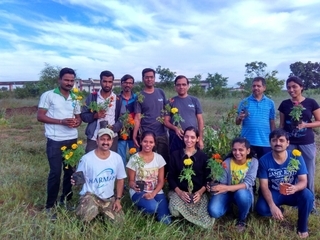 HARMAN’s business is dedicated to developing smart products, systems, software and services that connect people, so it’s no surprise that our culture is devoted to fostering connections within departments, organizations and communities as well. Supporting promising women in the early stages of their careers is critical, but it’s equally important to provide children, students and the current workforce with the resources they need to reach their full potential in STEAM (science, technology, engineering, arts and math) fields. In 2018, in addition to funding scholarships with partners like 1DF, HARMAN donated music equipment to schools to promote music education in under-served communities through Little Kids Rock and GRAMMY Music Education Coalition and supported students in their vision to reshape the future of transportation in collaboration with the University of Michigan’s Hyperloop program. Continuing education, particularly in rapidly changing STEAM industries, can significantly increase employee satisfaction and drive innovation. Mentorship and coaching is an important part of this process at HARMAN, as female (and male) executives guide young woman towards success. 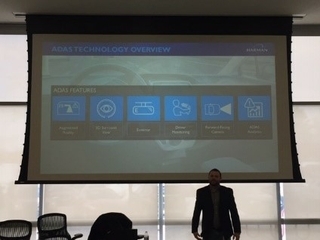 We’re also lucky enough to have a number of programs that empower employees to take control of their own careers by working across divisions and geographies to share ideas, explore new opportunities, set ambitious goals and generate progress. It’s important to recognize that, no matter how much we accomplish, we will never permanently achieve diversity. Gender parity in the workplace is an ongoing challenge that requires constant, unified efforts. At HARMAN, we look forward to continuing to push the limits of what’s possible with the help of valued partners like 1DF throughout the rest of 2019 and beyond.